Smartphone Waterproof Case Bike Mount Only $12.99! You are here: Home / Great Deals / Amazon Deals / Smartphone Waterproof Case Bike Mount Only $12.99! Price Drop! Great for Grads & Dads! 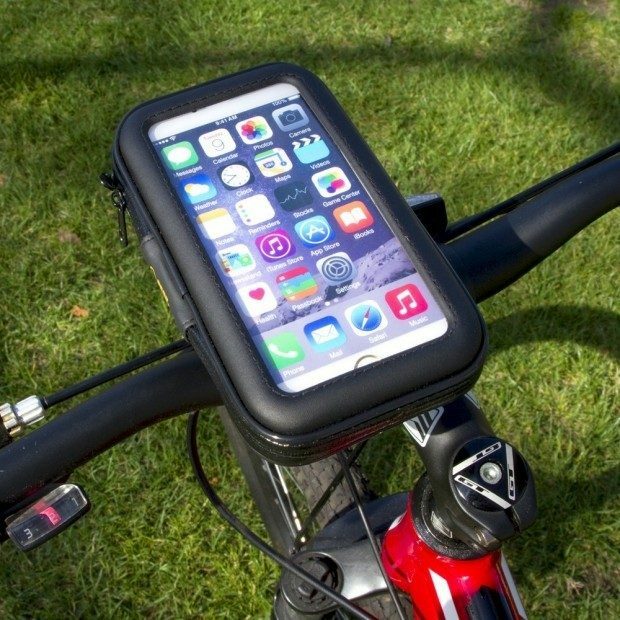 Get a Smartphone Waterproof Case Bike Mount Now Only $12.99! Mounts to a bicycle, motorcycle or scooter handlebar or stroller push bar, with a diameter up to 1 inch, and keeps your device secure. Water resistant pouch designed to hold iPhone 6 and can accommodate other smartphones with up to 5.1 inch displays!